Natal was a colony located in the South East corner of Africa. It had a mild climate and some of the best soil outside of the Cape Colony. It had been discovered by the Portugese in Christmas 1497. Natal means Christmas in Portugese. A small group of British settlers were attracted to the seemingly benign climate and soil. A small force of 25 men under British Lieutenant F. G. Farewell arrived from the Cape Colony and established a settlement on the northern shore of the Bay of Natal, near today's Farewell Square. The budding settlement was able to stay on the good side of the powerful Zulu chief Shaka when they were able to administer medical aid to the chief after he'd been injured in a battle. As a token of gratitude, he granted the tiny settlment a "25-mile strip of coast a hundred miles in depth." The tiny British settlement was almost strangled at birth when the Boer Great Trekkers arrived from the Cape Colony. These Boers were trying to escape the British administration in the Cape Colony. The three thousand Boers found it easy to intimidate the tiny British settlement into withdrawing and set up the Boer Republic of Natalia in its place. Two problems would afflict this Boer Republic. First of all, the British used the prior existence of the Port Natal colony as justification to extend British jurisdiction to the area. Secondly, the Zulus were not so impressed at the quantity and actions of these Boers. They clashed frequently with one another. These two problems combined to make many of the Trekkers reload their wagons and cross back over the Drakensberg Mountains and disappear North looking to avoid the British and Zulus if at all possible. Those Boers who did remain were content to allow the British Army enter the colony of Natal in 1843 and provide some form of defence from the intimidating Zulu nation. British settlers were now welcomed back to the colony. 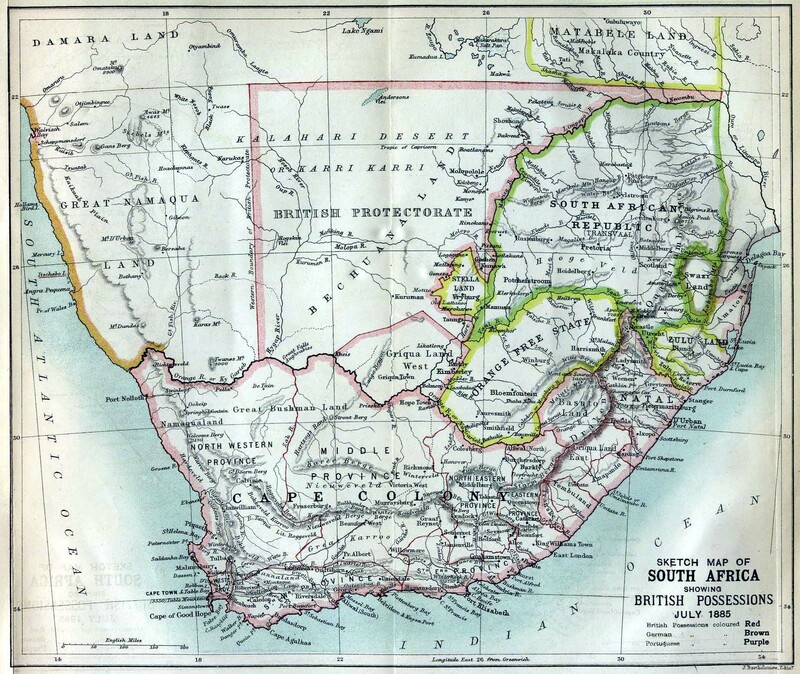 From 1844 to 1856, the colony was administered from the Cape Colony. 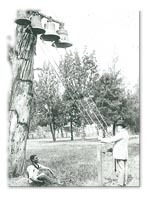 This was partly due to the lack of settlers in the colony and the population needed to be built up. But it was also due to the generally dangerous and fragile frontiers around Natal. The tiny colony needed all the support it could get being surrounded by powerful African tribes and the ongoing difficulties of dealing with the Boers. The colony would slowly expand its British contingent. It would never attract the quantity of settlers that Australia and New Zealand was able to attract. This was largely because of the perceived threat to the colony. It was just too dangerous and the land, although relatively good for Africa, was not that good compared to other destinations available throughout the Empire. The English would gain a majority of the white population, but there would always a remain a significant Boer minority. 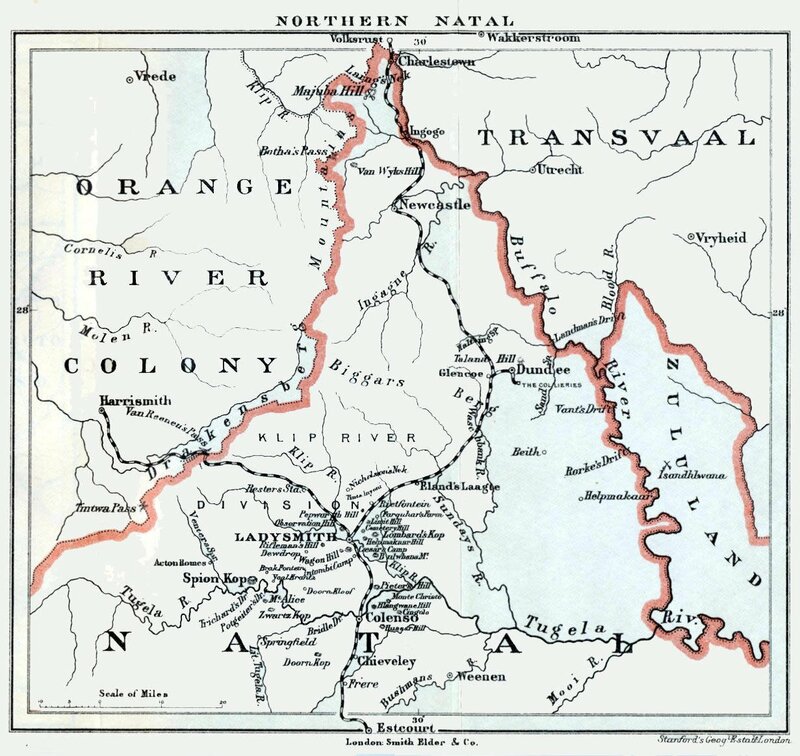 Natal would not be able to isolate itself from the conflicting politics between the Boer and English colonies. In 1877, thanks mainly to the threat of the Zulu nation, the Boers invited the British to annex their colonies. It was purely for defensive purposes as the Zulus offered a significant threat to the existence of the Boer Republics. The British would now be drawn into a needless and difficult campaign against the Zulus against their better judgement. Although they had a fearsome reputation, previously the Zulus had rarely come into conflict with the British. In the 1870s the Zulus were rightfully complaining about Boer encroachments into their lands from the Transvaal. 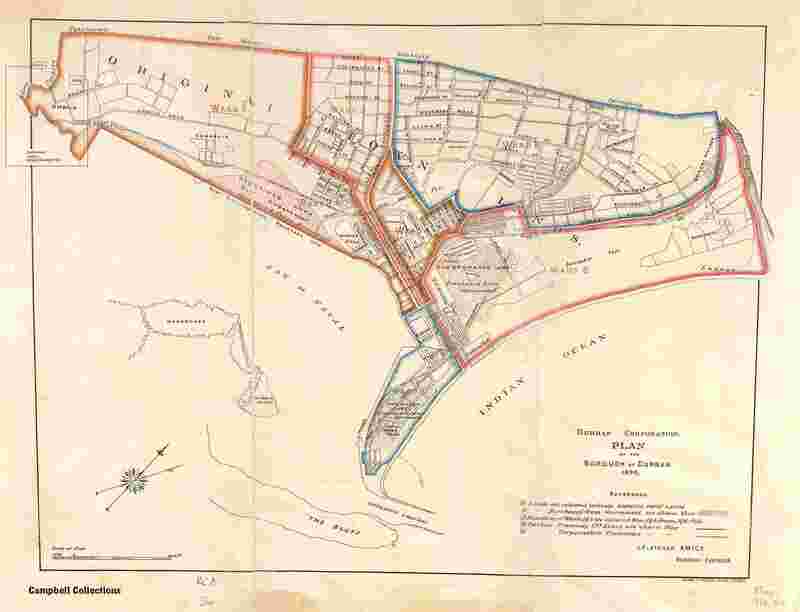 A British boundary commission actually found in favour of the Zulu. However the Cape High Commissioner Sir Bartle Frere decided to use this excuse to reduce the Zulu military threat. He said that the disputed land would only be returned if the Zulu army was disbanded. This was too harsh a term for the proudly militaristic Zulu and they ignored the provocative ultimatum. The British invasion in 1879 from Natal was poorly conceived. The British force was split and the Zulus fell on the main column at Isandlwana with devastating results. The poor deployment and over confidence of the British meant that Natal Colony was virtually undefended. A Zulu Impi did cross the Limpopo River and attacked a British outpost at Rorke's Drift. However, despite the brave defence, this Impi had actually overstepped its orders. Chief Cetsawayo had wisely advised his warriors to fight a defensive war within the borders of Zululand only. They never had any intention of invading Natal, but that did not stop the Natal colonists from being deeply concerned at their security. The British had to respond by sending out an even larger regular army expedition at great expense that defeated the Zulus at the battle of Ulundi. The irony of this pointless war was that it helped the Boers more than the British colonists. With the threat of the Zulus removed the Transvaal no longer needed British protection and promptly declared its independence but only after fighting the first Boer War of 1880/1881. The antagonism between the British and Boers was not over yet. South African history was about to be transformed thanks to the discovery of Gold in the Boer Republics. Geology was unkind to Natal which had to look on in awe at the diamond mines of the Cape Colony and the huge seams of Gold on the Rand. 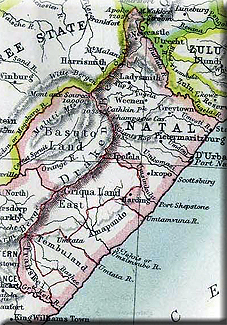 Natal had no such deposits but this did not meant that it would avoid being sucked into yet another conflict over control of the Boer Republics. Imperialists like Chamberlain and Alfred Milner would make clear their intentions for adding Transvaal and the Orange Free State to the Empire one way or another. By 1899, the Boer Republics concluded that their best chance at avoiding being annexed by the British was to launch a pre-emptive strike into parts of the Cape Colony, Bechuanaland and Natal. 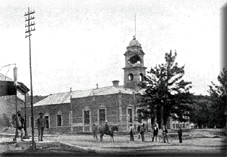 Natal's security was once more under severe threat as the North of the colony was captured by the Boers and Ladysmith found itself besieged. Their initial successes would bring the full force of the British Empire onto the Boer Republics. However the military defeat of the Republics would only mean that the war would move into a longer drawn out guerilla phase of warfare for the next two years. The human and physical costs would be enormous for all involved. A small localised problem became a huge international embarrassment for the British. The determination and skill of the Boers took all by surprise and forced the British Army to seriously question its tactics and approach to modern warfare. The ultimate consequence of the war would be the Union of South Africa. Paradoxically, for such a long and difficult war, the British awarded surprisingly liberal terms for their foe with the Treaty of Vereeniging. The British would gain formal control of the two Republics but would give considerable rights to the defeated Boers and committed themselves to rebuilding the Boer Republics. 1910, would see this formalised yet further with the Union of South Africa between the Cape Colony, Natal, Transvaal and the Orange Free State. A good source about the Devonshires at the siege of Ladysmith.